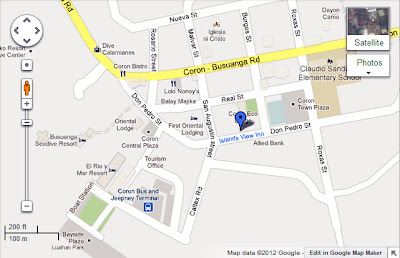 PALAWAN, Philippines — For those scouting for a good deal in accommodations in Coron Town, check out Islands View Inn. It's a winner on my list—even for solo travelers! The 3-storey hotel just turned a year old. It's a 5-minute walk from the port (less, I think) and it's literally steps away from the Calamianes Expeditions & Ecotours office. My friends stayed here and "adopted" me for a night since I was alone and there was so much space. We stayed in the Suite Room. 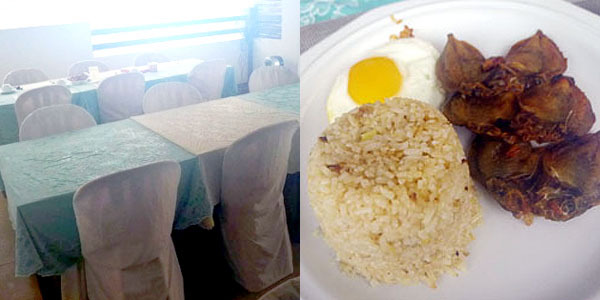 For four people, the cost was Php 2,500 a night. It was so spacious that it could fit five or six comfortably. I slept on an extra mattress, which cost Php 300 a night. Mattresses are quite thin but comfy enough to sleep on—even if it's just on the floor. The Suite Room is air-conditioned and has two double beds. In fact, the room was so spacious that my friend was able to dress it up as part of his wedding proposal to his girlfriend! More photos here! Surprise! My friend proposed to his girlfriend in the room. The Suite also comes with a balcony. Racks are provided to dry wet clothes. The hotel discourages hanging wet clothes on the balcony ledge. This was a bathroom from a different room but the one in the Suite looked similar, but bigger. This hotel is also ideal for solo travelers. I wish I had known about this earlier. Fan rooms are Php 700 a night. If the air-con is turned on, it's Php 1,500. Bathrooms are private, too! If you're on your own and you've got an extra Php 200-300 to spare per night (and don't mind not having air-con), stay here rather than out in the backpackers' area. Trust me. I've been there. Solo fan rooms are priced at Php 700!